As Holy Week approaches, Catholics all over the world make pilgrimages to holy places to celebrate the resurrection of Jesus Christ. You can visit exotic locations or stay close to home; any pilgrimage is worthwhile if you have spiritual experiences and come back with new understanding of how God works in your life. This Easter pilgrimage that allows participants to stay inside the Vatican on Easter. 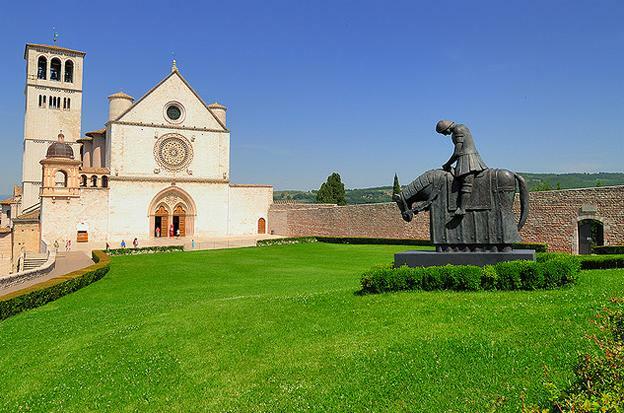 This pilgrimage begins in the city of St. Francis in Italy, three days before Easter. Participants will have the opportunity to stay overnight, participate in confession with Franciscan friars and participate in Mass next to St. Francis’ tomb. After one night in St. Francis, participants will move towards Norcia, which is located underneath the mountains in the center of Italy. Norcia is a small, peaceful city, and a group of American-born monks are re-establishing a Benedictine monastery there. Participants will stay at the monastery for Holy Thursday and Good Friday services. On Good Friday, participants will take an early morning trip to Cascia, 15 minutes away, to see the body of St. Rita; in the evening, participants will see a live version of the Stations of the Cross. Afterwards, participants will travel to Rome to celebrate Easter with Pope Benedict. Finally, on Easter Monday, participants will have the opportunity to travel to a tiny Italian town called Manopello, which is about two hours north of Rome. Manopello, which has a population of about 157, is the home of the Shrine of the Holy Face. This is a cloth containing an image of a man with wounds on his face; many Catholics believe it is a painting of Christ before his resurrection. 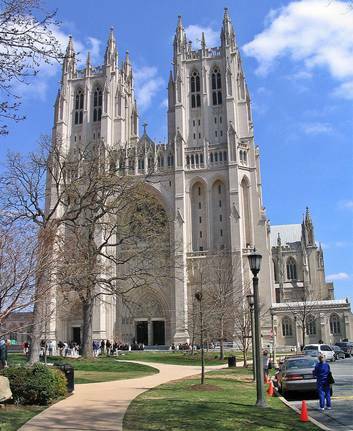 Believers who would rather stay closer to home can celebrate Easter with the Washington National Cathedral Pilgrimage. The cathedral is set inside Olmsted Woods. Participants walk through the woods and through the Bishop’s Garden before entering the Cathedral to experience Easter services. The pilgrimage is peaceful and quiet; participants have the opportunity to reconnect with nature as they make their way to the Cathedral. The Washington National Cathedral offers pilgrims a guided tour of the Cathedral and grounds, including the Cathedral’s history, and opportunities for personal prayer and meditation. The pilgrimage ends with the opportunity to participate in services as well as engage in personal prayer. High school students have the opportunity to take a week-long trip to Italy to celebrate Easter. Students leave the United States on April 5, where they will fly to Italy with a layover in Vienna. Once they reach Rome on April 6, they will receive a tour of the St. Pauls Outside Walls Basilica and celebrate Mass. Students will have the opportunity to celebrate Mass in several holy locations throughout the next week. They will visit the crypt of St. Peter and the Basilica of St. Francis. Students will also have the opportunity to participate in tours of holy places and basilicas. There will be ample opportunities to walk within sub-sects of Rome and to spend time in fellowship with other Catholic teenagers. The Early Christian World Pilgrimage allows participants from all over the world to visit ancient holy sites. This pilgrimage begins in Istanbul, Turkey; participants will move counterclockwise around Turkey to see cities that were important in Biblical times. Over the course of a week, participants will have the opportunity to move from Turkey to Greece and then back to Turkey. Highlights of this pilgrimage include taking a boat tour around Turkey and celebrating Mass at St. Espirit Cathedral in Istanbul, seeing the places where St. Paul preached in Epheseus and hiking to the Martyrdom of St. Philip. Participants will see history come to life as they tour the same places where the early Christian saints preached and lived. Participants will also have the opportunity to observe Muslims worshiping at mosques so that they can learn the differences and similarities between the Christian faith and the Muslim faith. The Chimayó Easter Pilgrimage allows Catholics to walk to a tiny town in New Mexico in order to visit a shrine there. Visitors from all over New Mexico park their cars in their current location and walk to this shrine every Holy Week. Some visitors walk as many as 100 miles. On Good Friday, pilgrims walk after dark, holding glow sticks and crosses. Chimayó is an ancient Pueblo Indian shrine where many miraculous healings have taken place over the years. There is a cross and sand pit in this shrine; visitors often take a little bit of sacred dirt to help themselves heal. Christina Maguire the author of the “5 Easter Pilgrimages for 2012” also writes for U-Pack, a company to move with! The Washington Pilgrimage is amazing to look at and experience. It’s well sculpted and has lots of history behind it. Pilgrimages offer a spiritual experience to anyone who explores these kinds of places. I’m not Catholic but I can appreciate this.